Let me give you two fantastic reasons to come see this lecture. Martin Lewis has been the recipient of the Academy of the Magical Art's Parlor Magician of the Year award in both 2000 & 2001! So you're convinced he can amaze audiences, but perhaps you're wondering if he can teach. Well, it just so happens Martin has also received the Academy's Lecturer of the Year award in both 2005 & 2007! 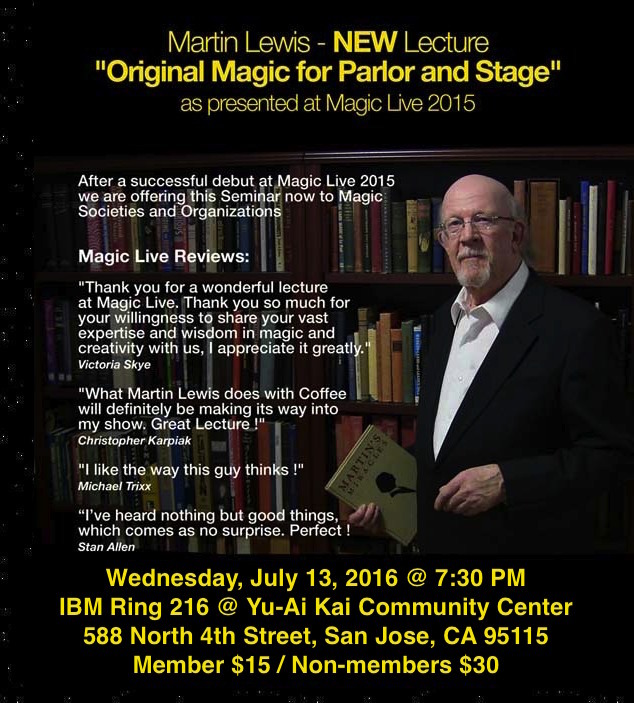 And to top it all off Martin will be presenting for us his NEW lecture "Original Magic for Parlor and Stage." 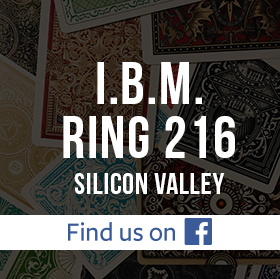 Seriously, how many fantastic reasons do you need to attend? 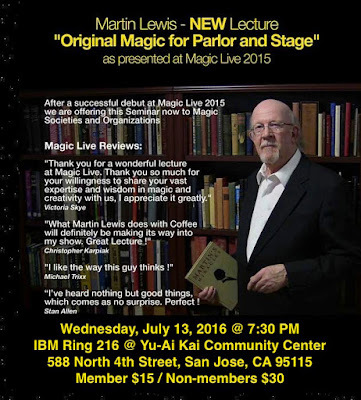 Martin’s new lecture is about original ideas in magic. He will teach items for stage, and parlor. His emphasis is on strong effects, using simple methods and entertaining presentations. There are no pipe dreams in this lecture. Only tried & tested magic that has earned Martin’s own living and reputation! He will present all new material plus some classic surprises!